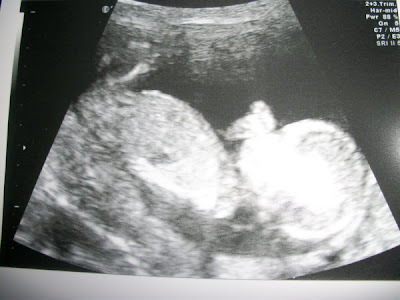 I am sooooooooo happy to tell you all that my scan yesterday went very well. Baby is doing great, all looked well and my dates were brought forward so I have a new due date of 22nd August. I finally told work today - so it's been hugs all round. Everyone was really nice. It's great that I can finally relax and not worry about covering up my ever expanding bump!